I adapted this recipe from Luke Ngyuyen’s recipe. Bo la lot make a fantastic finger food which can be eaten either piping hot, or just warm. I should call my version ‘roo la lot’, as I actually used kangaroo mince instead of beef. 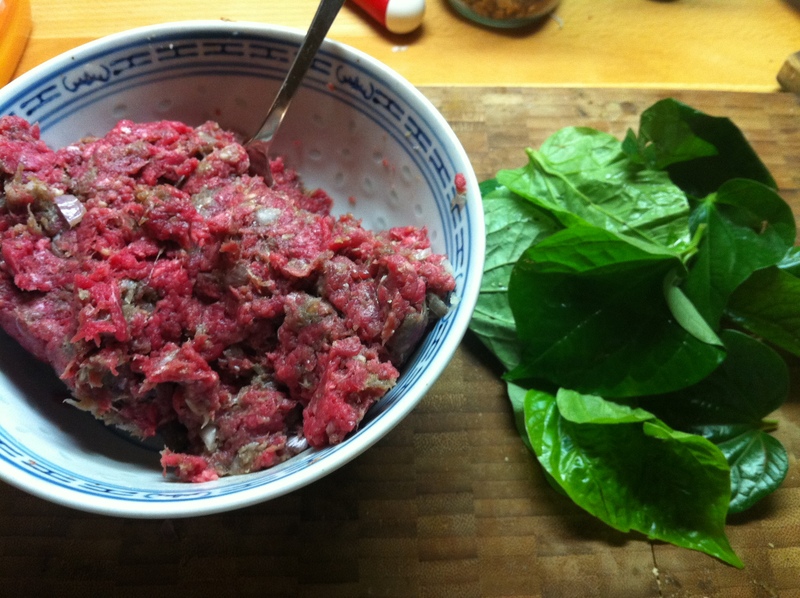 Combine all ingredients (except the betel leaves) in a bowl and mix well. 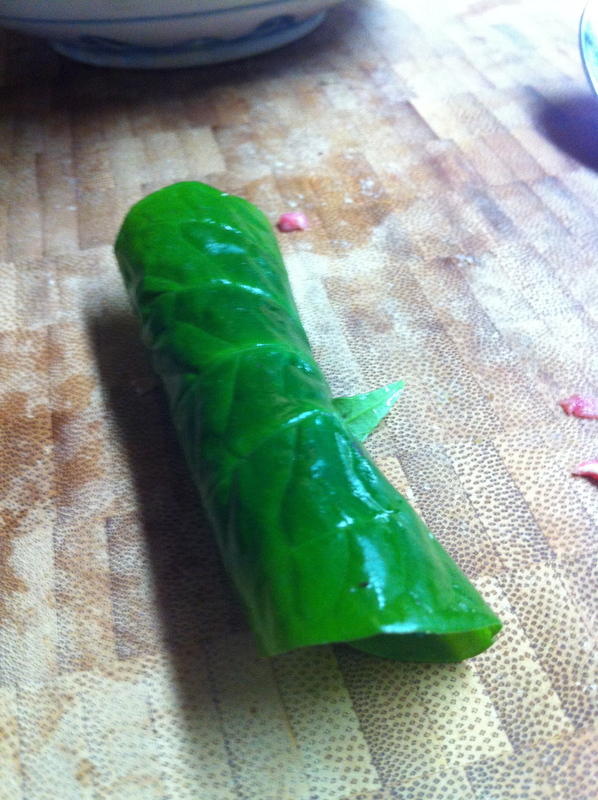 Pick the betel leaves off the stems and wash in cold water, then pat dry. Lay two small leaves, or one large leaf, shiny side down with the stem pointing towards you. Spoon a tablespoon of the meat mixture onto the bottom half then rub it into a sausage shape. Slide rolls onto a skewer for easy BBQing. Place skewers on a hot BBQ for about 5 minutes each side, or until done. I served mine with a dipping sauce made from sesame oil, chilli oil and a squeeze of lime – it’s not traditional, but it makes a really lovely, smoky balance to the rolls. You can also top them with toasted crushed peanuts, finely chopped spring onions and serve with nuoc mam cham. I’d never heard of betel leaf, but this inspired me to do some research on them – really interesting post. Thanks – and it looks DELICIOUS! 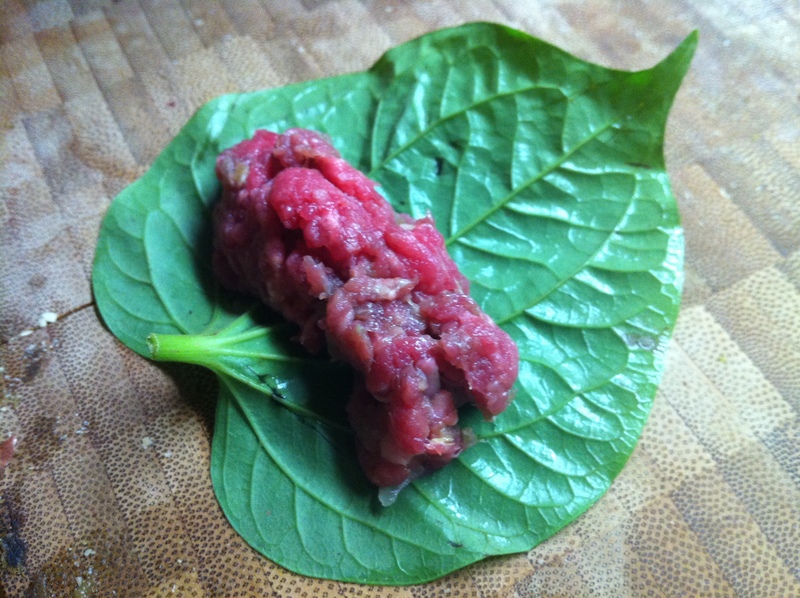 I adore betel leaf – you can use them raw in miang khum too! Enjoy! 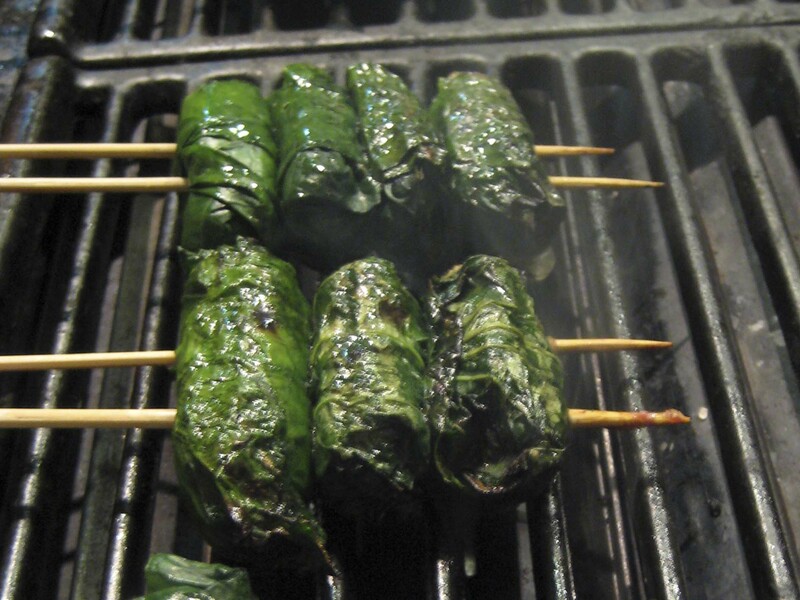 I’ve never tried betel leaf… will definitely try your recipe! I’ve just discovered your blog and love it! Lots of great inner west eats :-). Am inspired to make my own bo la lot now, one my absolute favourite Vietnamese dishes!